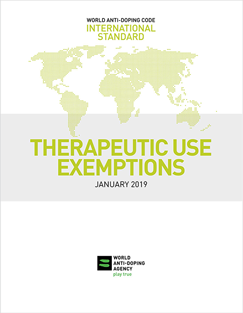 The purpose of the International Standard for Therapeutic Use Exemptions (ISTUE) is to ensure that the process of granting TUEs is harmonized across sports and countries. This policy balances the necessity for athletes to have access to important medication, while ensuring clean athletes the right to compete on a clean and level playing field. The current ISTUE went into force on January 1, 2019. For more information about the USADA TUE process, click here.